One (1) medium & One (1) large long sleeve shirts still available. $30 $10 for each shirt. First come first serve. June 23: NLI & Legendary Competitor present “Iron Will III”. A fitness competition with three divisions plus a masters division. This venue is in Orange County at Laguna Beach High School. Click on this link for more info and to register. I anticipate having a dozen or more CrownTown’ers doin’ work at this event. *Update* wait list is now forming. Please make sure you register on the list. You will NOT have to pay unless a spot opens up. We currently have Yvette M., Leilani V., Kalena A. and Tommie D. registered. Nick D., Errol T. and Melissa J. are on the wait list. 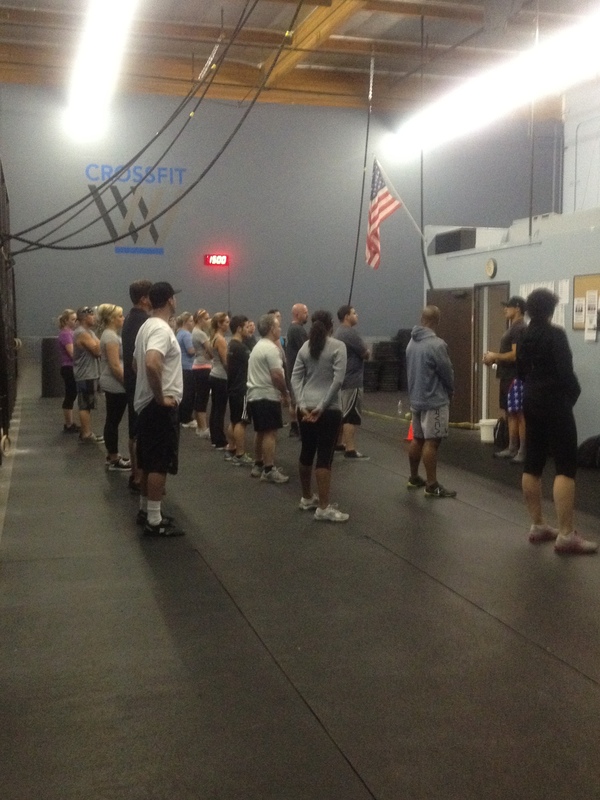 This entry was posted in WODs and tagged 1RM back squat, double Unders, Kettlebell swings, rope climbs, wall balls. Bookmark the permalink.